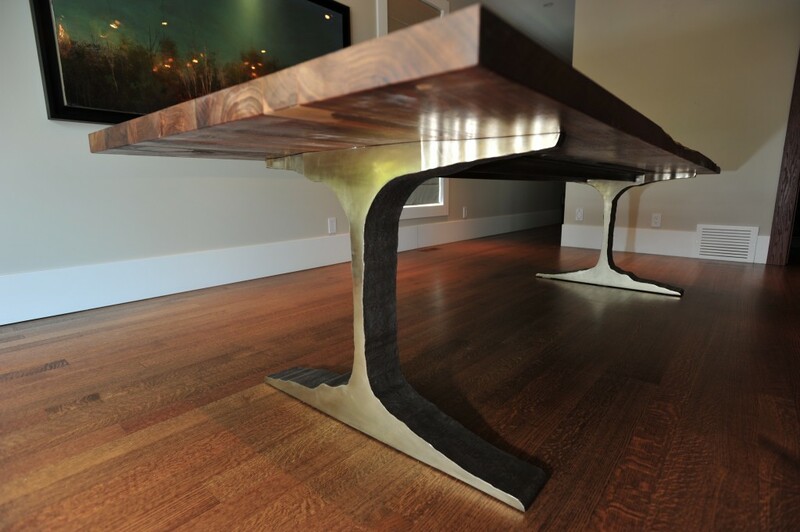 We design and manufacture beautifully crafted custom furniture. 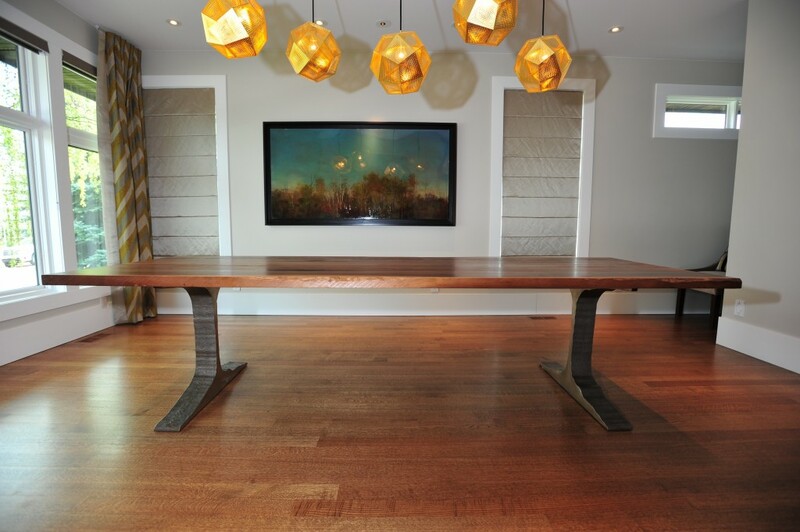 PCD dining tables are engineered and designed by Patricia Conner Designs and handcrafted by Canadian craftsmen and artists. We design tables for indoor and outdoor use. 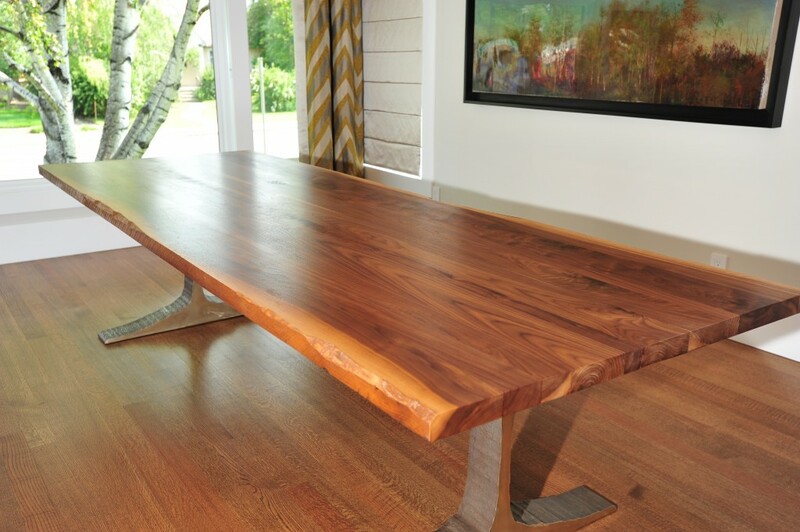 The “LUCA” is an elegant ten-foot dining table featuring a seamed walnut plank top with a live edge. The pedestals are cast in bronze. The honed pedestal ends contrast the textured, darkened surface of the sides. Please contact PCD to create a piece for your home. Pricing is dependant on the design and materials.